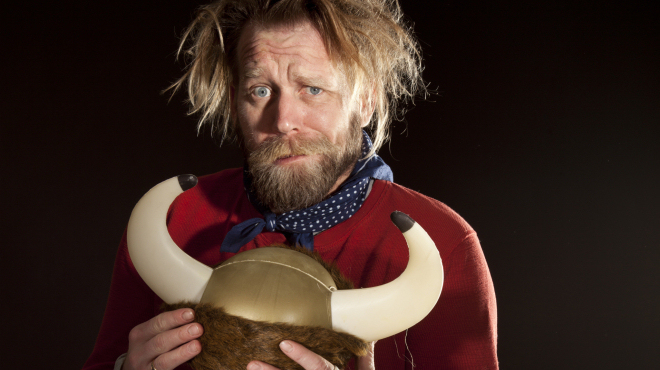 Tony Law has occasionally hinted at his (slight dubious) Pirate/Viking ancestry. Now, in honour of the fact, he’s set a Viking quiz for the readers of Time Out’s website. The short quiz provides a handy taster of the weirdy way that Law’s mind works, although be warned that its historical accuracy is questionable. Fans of historical facts would do well to stay away. But for those of you who prefer funnies to facts, why not take a look at the quiz? And if you like it, why not go and see Law perform his Nonsense Overdrive show at the Edinburgh Fringe during August, or on his forthcoming UK tour later in the year. We promise you won’t regret it!